This is an on-going series on vibrant contemporary artists killing the game. 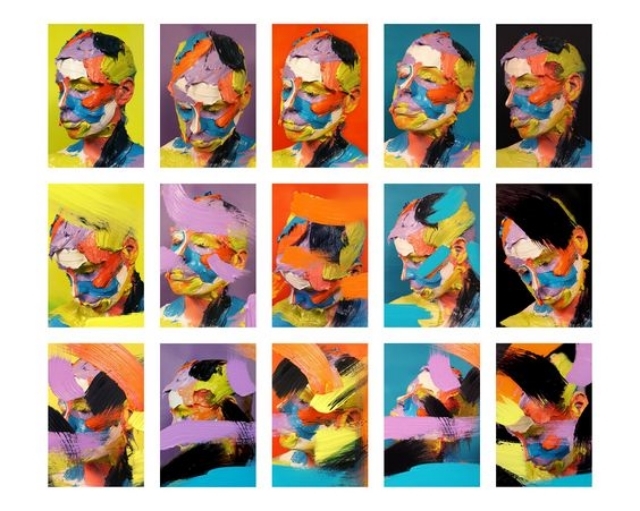 Our first artist creates wicked abstract portraits, fusing together paint and photography in a realm of mixed-media portraiture that seems to be otherwise unexplored. Each work is a piece of bright and textural visual magnificence that sometimes appears semi-abstract and almost always hauntingly beautiful. When I first dropped Sophie Derrick a line she was mere moments away from having a baby. Not only did she write back immediately despite this, she did so with great passion and a desire to share a lot of insight into the contemporary art world . We think Sophie rocks and it's clear her artwork is brilliant too. One can only imagine the great fingerpainting masterpieces to come from new-born baby Derrick. What kind of an artist are you? My work very much focuses on portraiture, but with the use of painting and photography, this genre is skewed and manipulated, and the transformative properties of paint are pushed to the limit. I photograph the act of painting on to my skin and then paint on top of the photographs, creating a layering of image of paint and painted image, blurring the boundaries between the two. My ‘self’ is lost, buried beneath the paint and the notion of portraiture is questioned. The body becomes both object and subject within the work. What's your favourite thing about the local/ international art scene in 2016? That it's so accessible now. I think it's only really quite a recent thing that art has become accessible to so many different audiences through things like Instagram, Facebook, and all the different art fairs that are available. I'm quite new to Instagram, only starting my page at the beginning of the year, and have been amazed at the response I've had and the different people and cultures I'm able to reach on there. 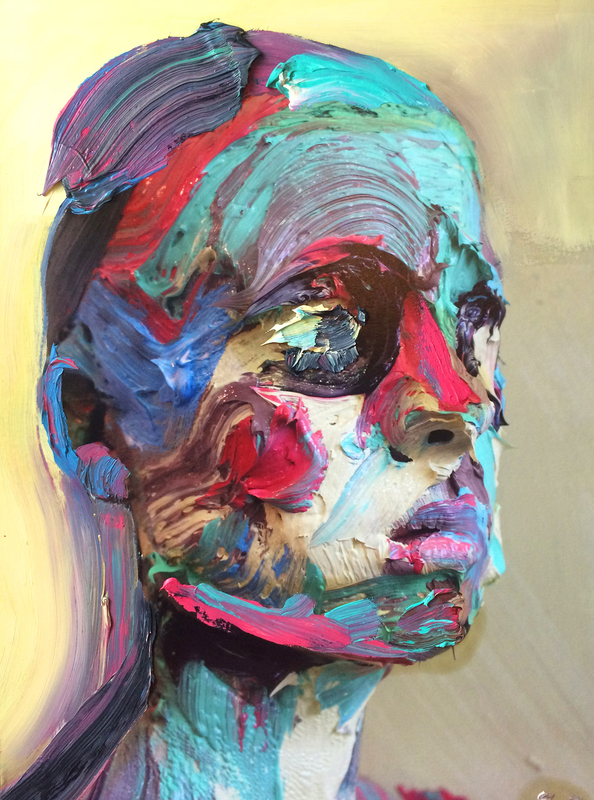 Some of my favourite artists are Frank Auerbach, Boo Ritson, Gillian Wearing, Andrew Salgado, and Gerhard Richter. I’d say Frank Auerbach’s work has influenced me the most. One of the first exhibitions I was in after uni was at the Leeds City Library and each artist had to choose a book from the collection and create a piece of work inspired by it. I chose one by Frank Auerbach and that was the turning point where I started to use really thick brush strokes and almost re-created some of his pieces. My first solo show was called ‘Auerbach to the Future’! I'm also really inspired by colours. If you could change anything about the world what would it be? That there wasn't a chance Donald Trump could be president. And what a note to end on.. Sophie Derrick for president (and/or British Prime Minister). For more from Sophie you can keep scrolling down, follow her on Instagram, check out her website (an inventory of sold and unsold works + more) or do all of the above. 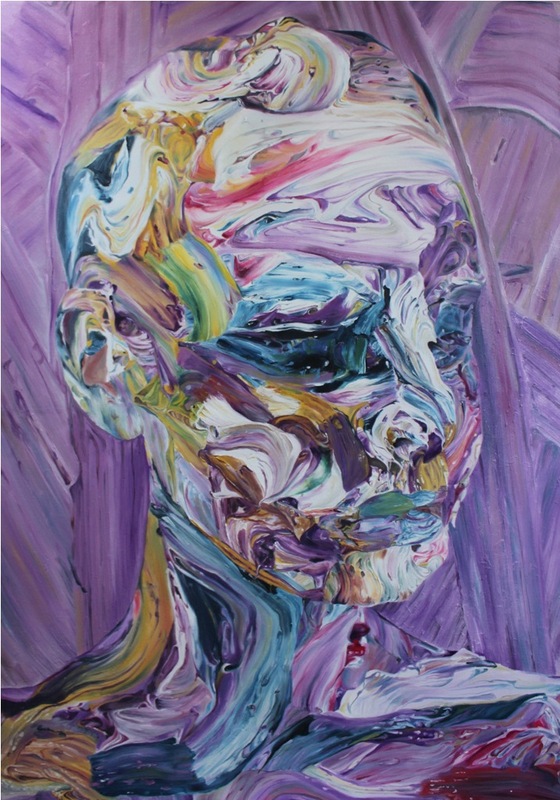 "Sophie Derrick came up with a swirling, slathering, painterly style that can’t fail to impress. For one, they’re gorgeous.."
"AND THEN IF YOU ARE THE SORT OF PERSON THAT CAN LOOK ENTHRALLED AT THICK SWATCHES OF MIXED PAINT – I AM – SOPHIE TAKES THE CAKE FOR RICH IMPASTO, SOME OF IT ILLUSIONISTIC, AND SOME PHYSICAL."